Individuals with digestive disorders benefit greatly from the Arvigo Techniques of Maya Abodminal Massage ®. 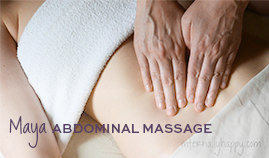 The abdomen is given a deep, thorough massage to loosen the tight muscles around the stomach and the arteries that feed the digestive and eliminative organs with their vital blood supply. The diaphragm is gently massaged allowing relaxation of tight musculature, unwinding stress and emotions held in the belly. The Arvigo Techniques of Maya Abdominal Therapy® is beneficial for many chronic abdominal and pelvic health issues. It is a non-invasive, external massage treatment on the abdomen, hips and back. Maya Abdominal Therapy® helps to remove restrictions and align and balance the body in such a way that enhances vital circulation through the core. This in turn creates better internal communication of the body’s systems. For example, the endocrine system sends messages in the form of hormones via the blood, when the body is restricted and tight, communication is also restricted. So with enhanced circulation, messages get to where they need to go. This technique also creates freedom in the body, which assists the vital flow of lymph (helps the body to cleanse itself), as well as aids in proper nerve and energy conduction. Fertility challenges decrease when uterine and ovarian tissues have more nutrients and antioxidants for healthy development. Growths like fibroids, ovarian cysts, and endometriosis can resolve when improved circulation helps to remove excess hormones from local pelvic tissues. PMS and menstrual migraines benefit from a more efficient removal of hormone metabolites. Urinary incontinence and prolapse begin to reverse when tissues are less congested. This integrative technique will allow you to relax and unwind the tension in your abdomen or pelvis. It helps to properly align the organs in the body, such as a displaced uterus, that may be keeping you from achieving optimal health. In the long term, this assists to prevent the progression of chronic disease while improving the body’s ability SELF REPAIR AND BALANCE. These techniques support and enhance health and wellness throughout the life cycle. 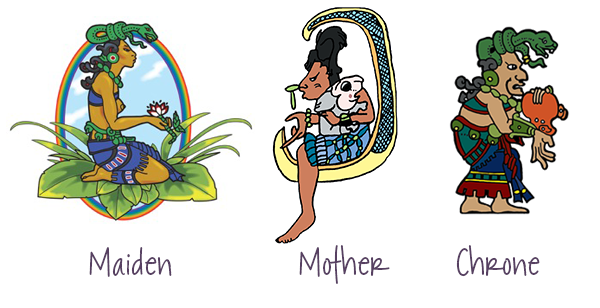 This healing modality is based on the ancient teachings of Maya medicine, handed down through Don Elijio a master shaman and refined by Dr. Rosita Arvigo, a naprapthic physician and ethnobotonist. Not recommended during menses, and not at any time when an IUD is present. Your first session will last approximately 2 hours. We will conduct a comprehensive review of your personal history & health care needs. The massage will address three primary areas of concern: the mid/lower back and sacrum; the lower abdominal area or pelvis; and the upper abdominal area. At a follow-up session, you will learn how to perform your own “self care” massage. These self-care techniques bring healing as well as self-awareness to your process. We may discuss lifestyle and dietary changes that may enhance the effect of treatment. Based on your individual goals and the results of treatments, we will work together to put together a tailored treatment plan. Typically 3 professional sessions (at a minimum) are required to address most conditions. SERIES are available with a discount. Clients who perform their self-care massage on a routine basis report an improvement in their symptoms. The Arvigo Techniques of Maya Abdominal Therapy® may be combined with other Internally Happy services to create a holistic treatment plan. Our overall health depends on the harmony of our organ systems. When we assist our body back into balance, homeostasis is restored. We are then able to flush toxins regularly, synthesize our natural balance of hormones, transport and absorb nutrients, and our body returns to its inherent ability to self heal. Give it a try!